Whether you require Charleston Airport transportation to and from your Charleston area destination OR local transportation for dining, golf, touring, etc., Charleston Limo and Car Service takes the worry out of your transportation requirements. 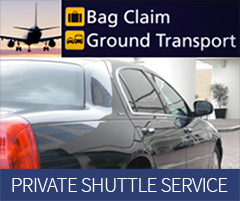 For individuals or corporate groups, just call us, your preferred Charleston car service, and leave the details to us! For Charleston group transportation, we can accommodate all your needs for dine arounds, SUV limo service, executive transportation, and airport transportation, and private limousine services. For weddings, there is no better choice than a Charleston Wedding limo to help make your day memorable. A private limousine service is a perfect way to transport your bride and groom or your wedding party! Our professional, courteous drivers will make sure you feel as special as you are on your special day. Let Charleston Limo and Car Service handle any and all of your Charleston Executive transportation!